PokerNews' legal contributor Maurice “Mac” VerStandig examines the risks of investing in other players’ action. The long-thriving underground futures market of poker is on the cusp of going mainstream with operations like YouStake.com now promising delivery of a seemingly-credible mechanism for players and fans alike to invest in the action of others, and perhaps it is merely disreputable anecdote, but as this year’s World Series of Poker gets underway, the Rio hallways seem more abuzz than ever with the gossip of economically-interested spectators looking to ogle the status of their ever-fluctuating investments. To be sure, the concept of buying a piece of another player’s action is hardly new. Home games have long been taking up collections to send their finest to Las Vegas, household names have spent years making a habit of hedging their own performance with an interest in that of their peers, and the all-star bankroll that fluctuated wildly when a Texas banker came to town is not merely the thing of legend but, too, the setting of an epic tome. Still, much of this liquid economy – often built on foundations no stronger than handshakes – has thrived in the shadows, and with those shadows have come a well-developed list of legends and warnings. "Under the right circumstances, a producer could make more money with a flop than he could with a hit," famously mused Leo Bloom in Mel Brooks’ classic of the stage and screen, The Producers. As it turns out, poker is not that different than Broadway – at least in this regard. The scam – which is far more humorously and pithily stated by Max Bialystock – is as simple as it is unforgiving. A poker player looking to dodge the uncertainty of a tournament and guarantee a profit will market his or her action to the masses. For the sake of familiar – and mathematically simplistic – example, someone entering the Main Event will sell interest at a rate of $100 for 1%, so as to cover the $10,000 entry fee. Friends, colleagues, and, with a little fame on the part of the swindler, even strangers will invest, looking for all the thrill of a sports-book bettor but with a much more personal slant and a much more appreciable upside. Thus far, this scenario is precisely on the level, but where a scammer will deviate from an honest broker is with the percentages sold. Poker legend is replete with tales (some genuine, some apocryphal, and some of unknown veracity) of players selling anywhere from 110% to 14,000% of their action in a given event or series of events. Grifters then assume the deliriously simple task of ensuring an exit before the cash bubble bursts, pocketing the spread, and, no doubt, manufacturing a bad beat story to ensure backers their dollars were not squandered foolishly. Variations of this scam play out in all walks of life and in a multitude of business settings – any guaranteed failure in need of economic backing is prime for exploitation — but where poker deviates from the majority of these swindles is in the near-wholesale absence of cognizable recourse. When backers tender their investment through cash handshakes, without any formality of paperwork, they not only create a situation where they will be nearly bereft of evidence should they one day turn to the courts, but they also inadvertently advance the scam by ensuring fellow investors are not acquainted with one another through the ritualistic execution of group documents. Of course, most – if not the vast majority – of players taking on investors prove good to their word, and many are then fortunate enough to pay dividends to their backers, but even these payouts – laced with integrity, pride and mutual satisfaction – are not without significant legal issues. Most prominent amongst these issues is taxation. As I recently noted in another column, all gaming proceeds are taxable, and when the payouts exceed certain relatively-modest thresholds, casinos are required to submit paperwork to the good people at the Internal Revenue Service. Nearly without fail, this paperwork reports a massive winning on the part of a poker player, and contains not so much as a single reference to the small group of loyal backers who have laid stake to a portion of the at-issue winnings. Worse, the situation does not lend itself to an easy fix – a winner could simply deduct the taxable interest in proceeds before paying backers, but for the reality that the odds of backers and a winner all sharing the same tax bracket are scarce (especially if the payout if significant and the player holds a plurality interest in her or his own action). So come April, one player whose name adorns masses of paperwork needs to convince Uncle Sam that she or he did not really retain the proceeds, and a group of investors whose names often appear nowhere need to account for their vicarious spoils. Even the backers face a significant challenge in being honest citizens and paying taxes on their proceeds, since the Internal Revenue Service will view with appreciable skepticism claims of cash income that are not well documented. In a more sinister setting, this is the variety of behavior that surrounds money laundering operations, and tax authorities have few means of immediately differentiating the loyal fan who bought 10% of the Main Event winner’s action and the nefarious criminal endeavoring to cleanse dirty money earned on the streets. As rural legend has it, collusion was as rampant in old western poker games as was the swiftness of the quick shot justice afforded cheats. These days, it is appreciably harder to pass hand signals in a reputable card room, base dealing is a thing of the past courtesy of professional dealers, and news of cheating is more likely to involve the tattered character of someone like Christian Lusardi than two people working together at the table. But with players taking pieces of each other’s action there comes a risk of a much softer form of collusion. The scenario is not a particularly difficult one to conceive – Player A is short-stacked and owns 10% of Player B’s action. Once the two players are isolated in a heads-up hand, and it is clear that Player B has the better cards, Player A is suddenly incentivized to dump all of his or her chips, knowing a quick exit is inevitable and figuring that it would be best to ensure that investment in Player B has an optimal chance of paying out. The problem, of course, is that this is collusion, and it is a particularly difficult form of collusion to detect, stop or do anything about. Players wantonly dumping chips to a friend at the outset of a tournament raise red flags; a short stack bolstering another stack appears commonplace – and since most investments are fiercely private and unpublicized, the table full of witnesses is left wholly naïve. One other issue correlative to poker investments worth mentioning, albeit one of seemingly more whimsy than the aforementioned: if you buy 10% of a player’s action, and that player wins a World Series of Poker event, are you entitled to have custody of the gold bracelet for 36.5 days every year? Lest the proverbial molehill be conflated with the Sierra-Nevada Mountains, I have never heard of any legal action being taken in connection with a claimed interest in a bracelet, and without offending those who have such items of jewelry, it is worth observing that the personal and sentimental value of a WSOP bracelet generally exceeds – exponentially – the fair market value. Sure, a particularly legendary player’s trophy from the Main Event might fit nicely into the subterranean economy of Super Bowl rings and World Series rings, but the reality is that the bracelet adoring the wrist of whoever wins this year’s $1,500 razz event is likely to have appreciable value to that person, and only that person. Still, when taking money from backers – or when tendering money to players – it is advisable to discuss exactly what is being bought and what is not. It may appear obvious that only cash proceeds are subject to distribution, but surely it comes as no surprise that many well-meaning poker fans are occasionally oblivious to the obvious. That oblivion is not the only reality that invites a need for greater formality in the staking business. Each of the issues discussed herein – save for the collusion quagmire – can be mitigated, if not outright resolved, through some of the most basic legal tools. The MIT blackjack team is legendary for supposedly having the chutzpah to create an LLC or corporation or some variety, and poker players can do well to act similarly. Different states have different laws, but almost everywhere an LLC – or even a formal partnership – can be registered on the relative cheap, with the names and equity interests of backers reduced to formal paperwork, and proceeds taxed and distributed all too cleanly. Investors need not worry about being hustled on too primitive a level, and players need not worry about bearing the tax burden of their backers. Moreover, form operating agreements can furnish all the clarity that is needed on issues ranging from payment of secondary expenses to retention of non-monetary prizes. Even less formally, simple contracts can cover many of these issues, and add appreciable comfort to the periodically-haze of strangers as they hand over wads of cash in the hallway behind the Amazon room. This is not to say that you should demand paperwork or strict adherence to Robert’s Rules before staking your best friend of thirty years in a micro tournament at a local tribal casino. 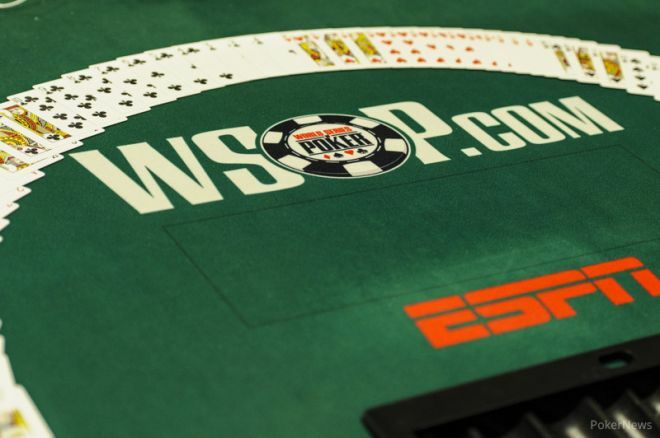 Scale matters a great deal – one small WSOP tournament may be best handled through a form contract; someone selling interest in a package of more than a dozen tournaments, with cash action included, is wise to create an LLC or limited partnership. And lest you think this all a hyperbolic warning of horrors unlikely to besiege your action or investments, consider this: at least one recent Main Event champion has been sued by a backer wanting to know why there was no check in the mail. Maurice “Mac” VerStandig, Esq. is the managing partner of The VerStandig Law Firm, LLC, where he focusses his practice on counseling professional poker players, sports bettors and advantage players across the United States. He is licensed to practice law in Maryland, Virginia and Florida, as well as in nearly a dozen federal courts, and regularly affiliates with attorneys licensed in numerous other states and jurisdictions. He can be reached at mac@mbvesq.com. Phil 'OMGClayAiken' Galfond Says "Nosebleeds Have Gotten A Lot Worse"